Last week the Tempus partners gathered in Kyiv to discuss the results of the NEFESIE project in 2015, highlight the future activities and plans for joint projects. The representatives from five Ukrainian universities and European higher education establishments together with the Tempus partners met in Kyiv for the regular meeting last week. The gathering was called to share the results of the outgoing year and outline the action plan for the future. A key topic discussed at this meeting was the launch of a course on innovation and entrepreneurship for the best Ukrainian students. Each of the five universities from Ukraine will nominate five students to make two-week trips to both Sweden and Portugal, where they will learn from the best European professors. The student teams consist of the best students from the IT Eureka contest. The trip to Sweden will be hosted by Linnaeus University, the coordinating institution of the Tempus program. Within this trip, Sigma will organize one full innovation day in Växjö, where different companies and entrepreneurs will be invited to explain how startup and innovative thinking work in reality. “Instituto Pedro Nunes in Portugal has a very strong startup incubator. I believe the academic staff there can help our young specialists grasp the idea of being an entrepreneur and innovative startup better than anyone else. When it comes to new assignments, the Ukrainian students tend to use the technology they have worked with before. They are usually afraid to try something new. 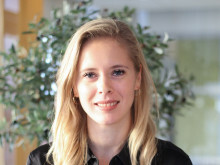 The main goal of this Tempus initiative is to bring them out from the comfort zone, to show that innovative approach can be applied in every area and every technology, to teach the students to think outside the box,” says Nataly Potapova, Training Manager at Sigma Software. For more information, please, contact Niklas Malmros. Prior to publication, it must be approved by Sigma Group. Sigma Technology är ett av tio bolag nominerade till Stora IT-kompetenspriset, ett pris som lyfter fram företag för deras bidrag till utbildning och kompetensutveckling. 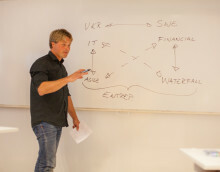 The annual Tempus program meeting took place on September 23rd in Växjö (Sweden). The participants of the project "National Education Framework for Enhancing IT Students' Innovation and Entrepreneurship", running within the frames of Tempus, gathered together to discuss how to establish an entrepreneurship environment that brings together students, business and researchers. 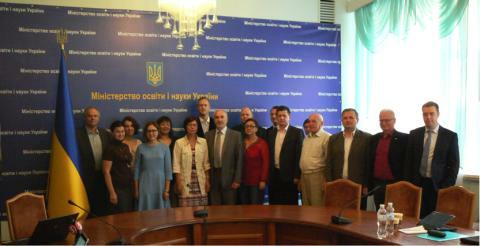 On May 26-27th, the regular Tempus project meeting took place in Lviv. Representatives of Sigma Technology Solutions and Sigma Software, as well as professors from Linnaeus University (Sweden) and Lviv Polytechnic University (Ukraine), gathered to discuss the current status and share plans for the near future. 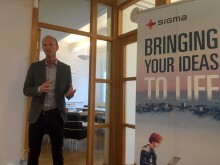 Sigma Technology Solutions hosted two events within the TEMPUS project in Växjö, Sweden. On May 5th, the company and Linnaeus University organized the IT-Pub — an event dedicated to shining light on the Tempus NEFESIE project. The next day, the Entrepreneurship & Innovation Workshop for Ukrainian professors from five TEMPUS partner universities was held. During the first two weeks of November, the best students from Ukrainian universities, partners of the Tempus program, visited Sweden to attend the course on innovations and entrepreneurship. The main idea of the project is to show students that an innovative approach can be applied in every area and every technology.